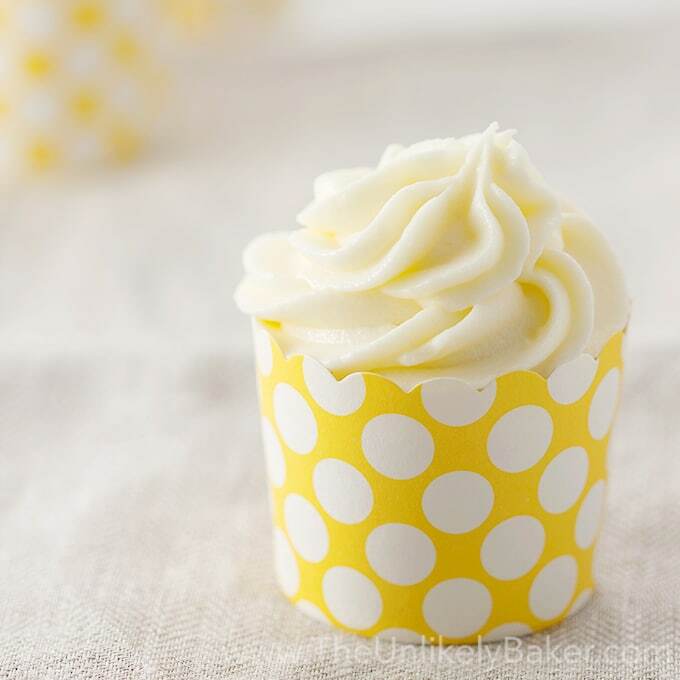 Soft and moist limoncello cupcakes filled with decadent lemon curd and topped with luxurious limoncello cream cheese frosting. A lemon lover’s dream. 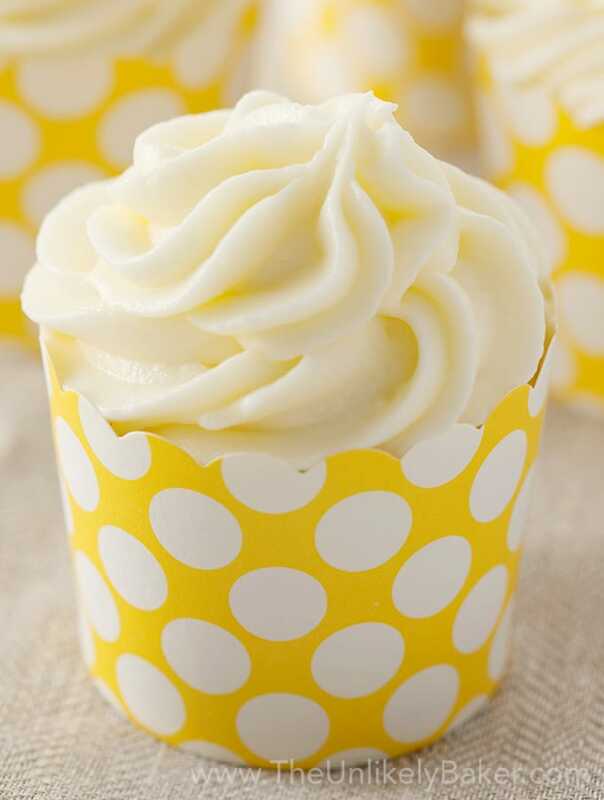 cupcake recipe is my gift to all the lemon lovers out there – the cake is soft and moist but dense enough to hold the decadent lemon curd in the centre. 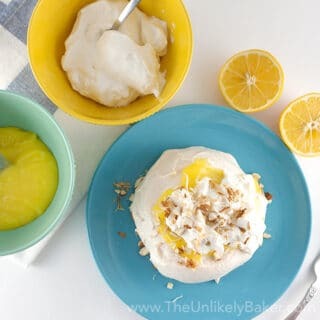 It’s then topped with the most luxurious limoncello cream cheese frosting that’s a dream to pipe (it holds its shape quite nicely) and even better to eat – perfectly sweet and tart. It’s the ideal topping to all the deliciousness underneath it. There is a reason I have a whole category in my blog dedicated to lemon desserts. I love lemons the way people love chocolates. I mean, I like chocolates very much (who doesn’t?). 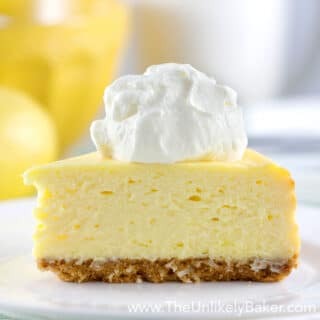 I just love lemons – lemon cakes, lemon bars, lemon pies, lemon curd, lemonade! Meyer lemons most of all – they’re sweeter, more aromatic, and they even photograph better. Lemons are not organic to the Philippines (we have a local version called calamansi, which is very tart and closer in appearance to key limes) so it was only when I moved to Canada that I discovered them – you could say our love affair is fairly new. And there’s so much to discover. A world of lemon recipes to try. I couldn’t be happier. First up are these glorious (notice how much praise I give these cupcakes? I exaggerate not; they are very good) cupcakes made with the lemon liqueur, limoncello (which, uh, yes, I also love), filled with homemade lemon curd then topped with more limoncello cream cheese frosting. 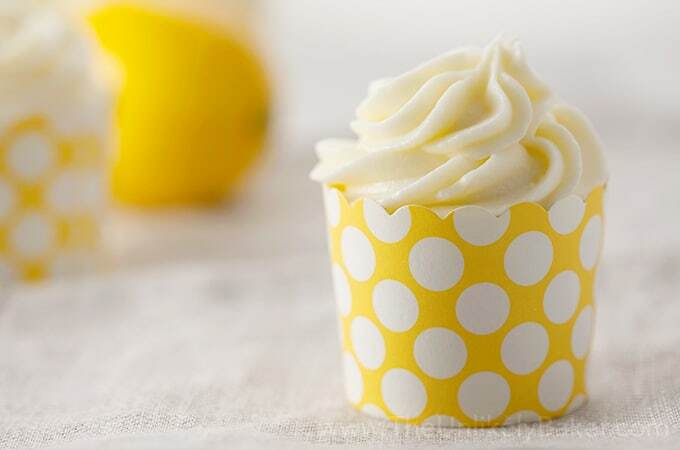 I guess the limoncello in this recipe makes this an adult cupcake but not to worry, there’s not enough liqueur in here to make you drunk (too bad? I hear ya); but enough to give it a distinct lemon flavour that you won’t get from lemon extract or oil or even fresh lemon juice. Something needs to be said about the frosting too. I’m always worried about using cream cheese (I’ve thrown out too many bowls of failed cream cheese frosting) but this one held together – not only in shape and form but taste as well (the secret? Use cold cream cheese. Not room temperature. Cold straight out of the fridge). Give these cupcakes a shot. They might just make you a lemon lover too (yay for Team Lemon). Preheat your oven to 350F and line 12 standard-size muffin tins with cupcake liners. In a medium bowl, combine 1 1/2 cups flour, 1 teaspoon baking powder and 1/2 teaspoon salt. Set aside. 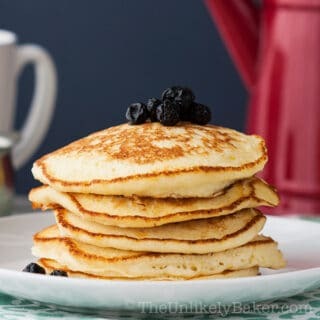 Using an electric mixer or a stand mixer fitted with the paddle attachment, beat 1/4 cup butter and 2 ounces cream cheese on medium speed for about a minute then add the 1 cup of sugar. Beat for another 2 minutes or until light and creamy. Add the 3 eggs one at a time making sure it's combined well each time. Then add the 2 tablespoons of limoncello. Remember to scrape the bottom and sides of your bowl. Switch to low speed and add a third of your flour mixture. Then half of your buttermilk. Add another third of the flour, the rest of the buttermilk and finally the rest of the flour. Scoop your batter evenly into your tins (they should not be more than 3/4 full). Bake for 20-30 minutes or until a toothpick inserted comes out clean. Remove from the oven and let cool in the pan for about 10 minutes. Then move to a cooling rack to cool completely. 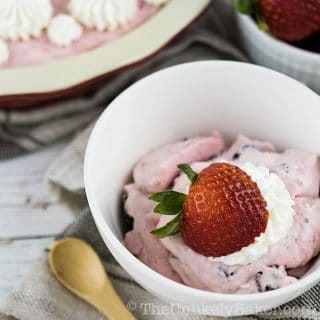 Using an electric mixer or a stand mixer fitted with the paddle attachment, beat the 1/4 cup butter and the 6 ounces cream cheese on medium speed for about 4-5 minutes or until light and fluffy. Add the 1 tablespoon limoncello and beat just until incorporated. Switch to low speed and gradually add the 2 cups of confectioner's sugar. Add a little bit more at a time until you get the consistency and the level of sweetness you prefer. Beat until smooth and creamy. Make sure the cupcakes are completely cool. Using a small knife, carve a small hole (about an inch in diameter and an inch deep) into the middle of your cupcake. Take the extra cake out and fill the hole with a dollop of lemon curd. Don't put too much curd; just put enough so that it's level with the top of your cupcake. The lemon curd needs to be made a day ahead because it needs to chill before you can use it. 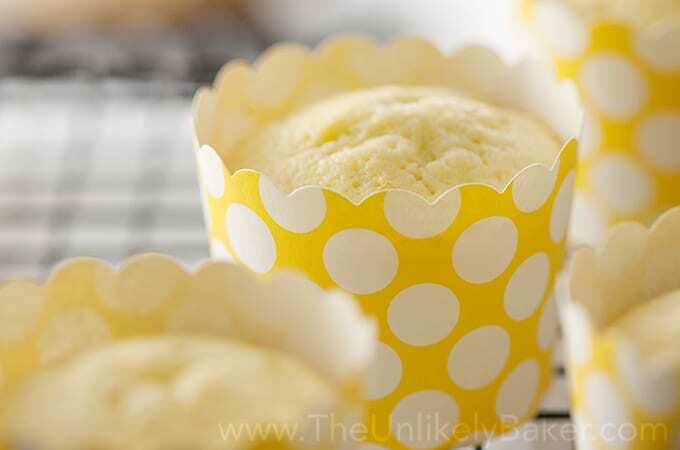 Did you make these limoncello cupcakes? Tell me how it went in the comments section below. I’d love to hear all about it. If you’re into lemons like me, there are more lemony treats here. Previous Post: « Homemade Lemon Curd – Easy and Done in 10 Minutes! these look perfect for summer/spring theme parties. The difference between limoncello and lemon juice make sense – limoncello is flavored with the peel, so lemon oil – not juice. Much brighter, more fragrant flavor. Never thought of using it in baking, even though I knew that – how perfect! And I love the cream cheese icing. Looks so creamy and rich! I feel like I’ve been waiting for this recipe my whole life. I’m such a lemon lover and can’t wait to make these. Pinned for later! That frosting looks amazing! Oooooh YUM YUM! Perfect Spring cupcakes! Italians are very partial to lemons and anything lemon flavored. We make our own limoncello — what a wonderful way to use some of it. Thank you for the recipe!!! I’m not Italian but I’m seriously partial to lemon too! It’s just wonderful isn’t it? 🙂 You are very welcome, hope you enjoy these as much as I do! We just made our limoncello so this is perfect timing. I love everything about these! They’re beautiful — you’re right about them being great subjects to photograph! I think my favorite part is the limoncello frosting…or the lemon curd…everything! These cupcakes look divine! I love all things lemon so I will have to try this one! Thanks Sam! If you’re a lemon lover then this is definitely a must-try 🙂 Let me know how goes! 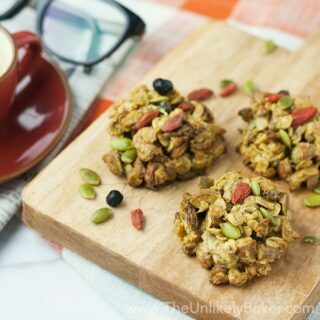 What’s the best way to make these ahead of time for a big party? Hi Stacey. These are best fresh but I suppose you can bake the cupcakes first (perhaps the day before) then fill and frost them later (the day of the party). Great tip about the cold cream cheese – this looks like a recipe my kiddies will love! Thanks! I don’t remember now where I read it…I think from Joy of Cooking. In any case, that has saved me a whole of frosting heartache 🙂 Hope your kids like them! I am a lemon lover too! I would choose it over a chocolate dessert any day. I love that these are filled with a lemon curd. That’s funny! LOL I have problem to photogragh white things… I can see it’s not your problem. Your photos are gorgeous!! It’s a such spring recipe! Hahahaha this made me laugh. Same problems with chocolate. Hard to make brown pretty, right? 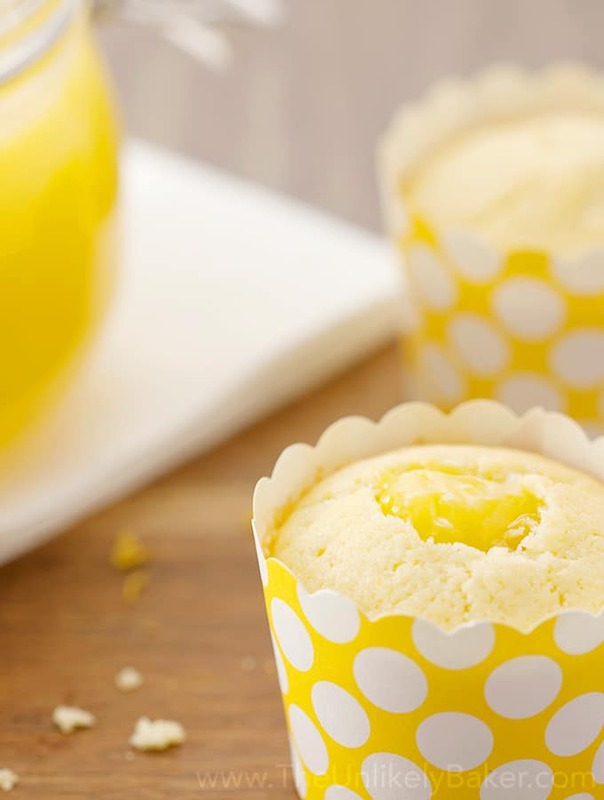 Yum- these lemon cupcakes look divine, especially with lemon curd! I’m definitely a fan of lemon desserts. I love how the tartness of the lemons offset the sweetness. And I agree, cream cheese frosting can be so tough sometimes but keeping the cream cheese cold is a great tip! Awesome, another one for Team Lemon 🙂 And you’re welcome, hope that tip helps! I kinda want you to start a blog dedicated to lemony baked goods now. I think it would be a HUGE hit (assuming people love lemon treats as much as we do, and I think they do)! Thanks! I would love to do a lemon blog though I’m afraid we’d be the only two people reading it lol! Speaking of lemon curd on cakes I did one and it’s actually going to be up on the blog soon. Hope you stop by when that’s up 🙂 Have a great weekend! 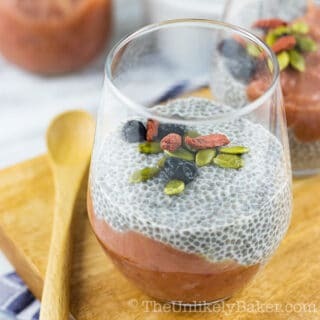 Beautiful recipe and gorgeous photos! Everything looks so delicious and sun-soaked. Summertime is coming. Can’t wait. This is a wonderful and inspiring post. I am with you, I like chocolate. I LOVE lemon. And great tip on the cream cheese. I have also had issues using it for icing. +1 Team Lemon! 🙂 Have a great weekend too!